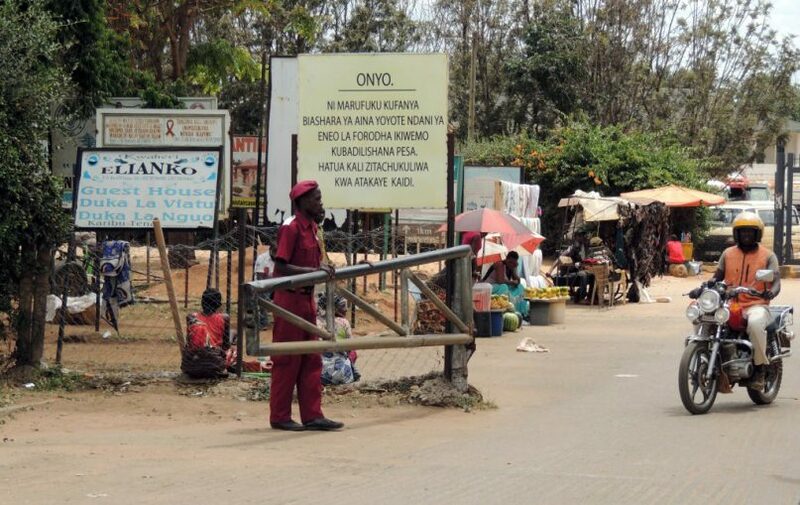 ISEBANIA, Tanzania (RNS) — As he gulped water and sat tired in the shade of a harsh sun in this northern town of Tanzania, Joseph Omar said he was crossing the border to seek a safe haven in neighboring Kenya after the government began to arrest suspected homosexuals in his country. Omar is among hundreds of gay and transgender people in this East African nation who are increasingly fleeing to neighboring countries after authorities urged the public in October to report the names of suspected homosexuals to police so they can be detained. In early November, 10 men were arrested on the island of Zanzibar on suspicion of being gay. Police said the public reported a planned gay wedding at a resort hotel at Pongwe Beach on Africa’s east coast. The arrests and panic within the gay community come days after Paul Makonda, governor of the economic capital Dar es Salaam, formed a police squad to hunt down gay people and urged the public to report suspected homosexuals. Homosexuality is illegal in Tanzania under a colonial-era law and can be punished by a sentence of up to 30 years’ imprisonment. However, the law is rarely enforced. But anti-gay harassment has increased since Magufuli came to power in 2015, sending hundreds into hiding across the border. Tanzania’s government has recently shut down civil society organizations and arrested activists who support gay people. In August 2016 authorities ordered the closure of HIV/AIDS outreach projects aimed at helping gay men. U.S.-funded programs providing medical care to the gay community were also banned. Activists have said religion plays a role in increasing the stigma within the gay community. Evangelicals, the Pentecostal church and other religious groups have an anti-homosexual agenda, they said. James Wandera, founder of LGBT Voice Tanzania, an organization that openly promotes LGBT rights, said Makonda, the senior government official who ordered the anti-gay crackdown, is a staunch believer in the Word of God. Wandera said there’s no other group in Tanzania trying to support the LGBT community and the situation is getting worse. Makonda is a Christian. Recently, he attended prayers at a Pentecostal church in Dar es Salaam and wept in prayer asking God to help him in the fight against homosexuality, according to local news reports. Wandera dismissed Makonda’s prayers, saying he was planting hate between citizens and the gay community by using religion. The tension in the country has prompted the United States and international organizations to censure the East African country for violating human rights and civil liberties. Omar, who was at Isebania at the border with Kenya, pleaded with the authorities to understand it’s not his wish to be gay.